Innocence about what was going on in Sri Lanka did not in fact last very long. Though the country had seemed full of hope after the economic reforms introduced by the Jayewardene government in 1977, by 1980 the flip side of the reforms was evident. In July there occurred the General Strike that was dealt with, not so much firmly, as brutally. That particular episode did not worry me unduly, for it seemed to me that an elected government had every right to try out new policies. If the opposition decided on violent confrontation, government was entitled to respond. The relentless critiques of my uncle Lakshman however, Chairman by then I think of the Civil Rights Movement, in addition to being Bishop of Kurunagala, made me realize that the government’s response was disproportionate. Perhaps as a mark of what still interested me most, what brought home to me most vividly the determination of the government to use violence to crush even mild opposition was the manhandling of Prof Sarachchandra, when he was to deliver a lecture that would have been simply mildly critical of government policies. Lakshman was more concerned by then about what was going on in the North. Though initially I had thought he was being dramatic in predicting civil war if the government did not moderate its violence, it gradually became clear that Jayewardene’s policies were almost deliberately provocative. 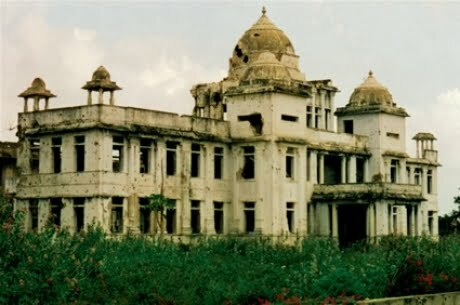 I only properly understood the situation however in 1981, when I went to lecture at Jaffna University shortly after government goons had set fire to the Public Library. The bitter anguish of the students who insisted on taking me to see the burnt out shell made me realize the great gulf the government had created in trying to impose its will on the North.